There have been lots of ups and downs among the leaves this year. 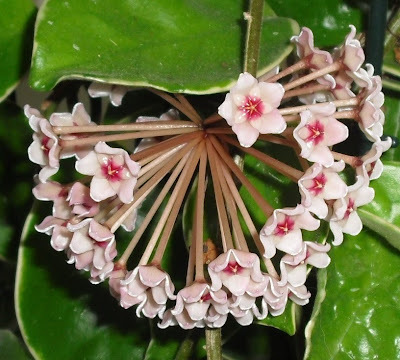 I've embraced a whole new category of plants (Bromeliads) and all but given up on others (Hedera, Begonia.) At various times, I've battled fungus gnats, aphids, spider mites, mealy bug, scale and white flies. 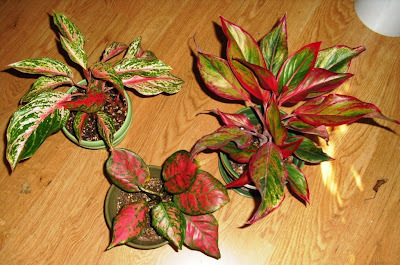 (Out of these, only the mealies prevailed: I had to throw away my Hoya multiflora because I just could not get rid of the damned things. Over the years, I have occasionally had plants succumb to scale or spider mites, but with diligence, I can usually get the upper hand with them. But I've never won a battle with mealies, ever.) I've dealt with sunburn, root rot, and naughty cats (apparently, Nolina recurvata looks like something good to nibble on.) But there have been a few plants that have done well, caused or attracted minimal trouble, and just made me consistently happy over the past year. 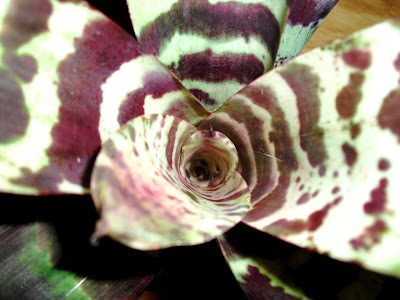 Here, in alphabetical order, (because I couldn't make up my mind how to rank them otherwise) are my top ten favorite houseplants of 2010. 1. Aechmea fasciata: This is a plant I was once afraid to try. 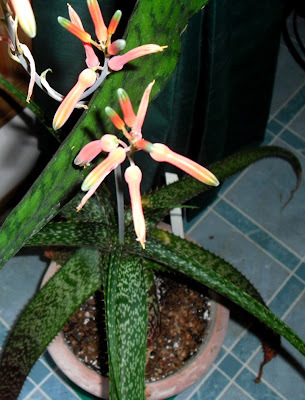 I was sure that once I got one home, the flowers would immediate fade, the inflorescence would shrivel, and the plant would die soon after. 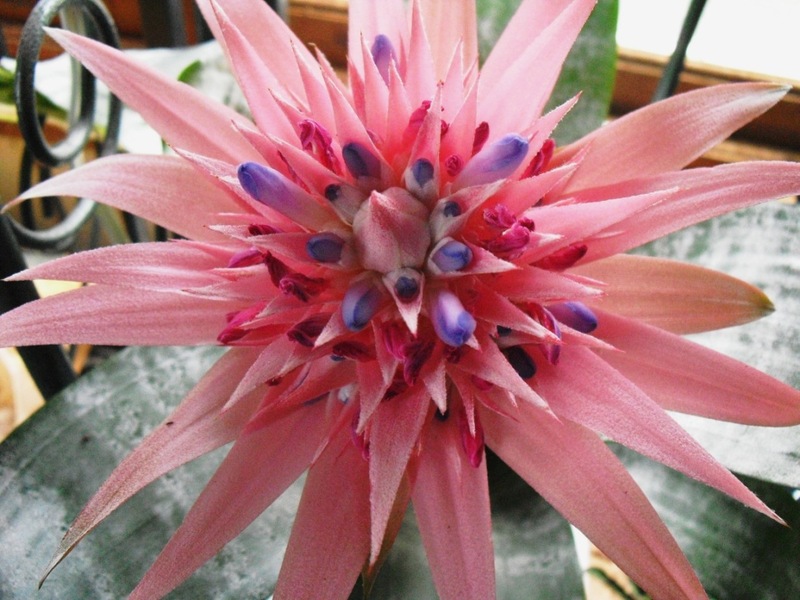 Instead, the little blue flowers lasted a good while, the pink inflorescence lasted for months, and not only is the mother plant still looking good, there is also a good sized offset. 2. Aloe greenii x lineata: This made the list as a first time bloomer this year. 4. x Chamaelovibia 'Captain Jessop': I'm not 100% certain of the ID. What I am certain about is that this little cactus put on a hell of a show this year. 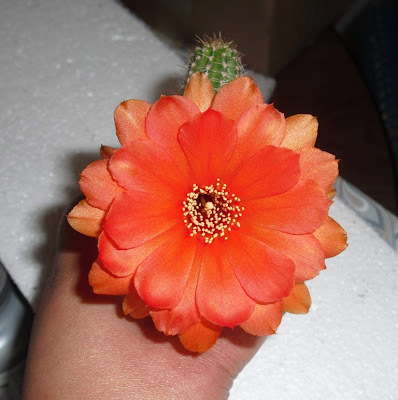 It is only 2.5 inches tall, but it bloomed three times, each time with flowers bigger than the plant itself. 5. Epiphyllum 'David W. Grant' : Cacti were a big hit with me this year, apparently. 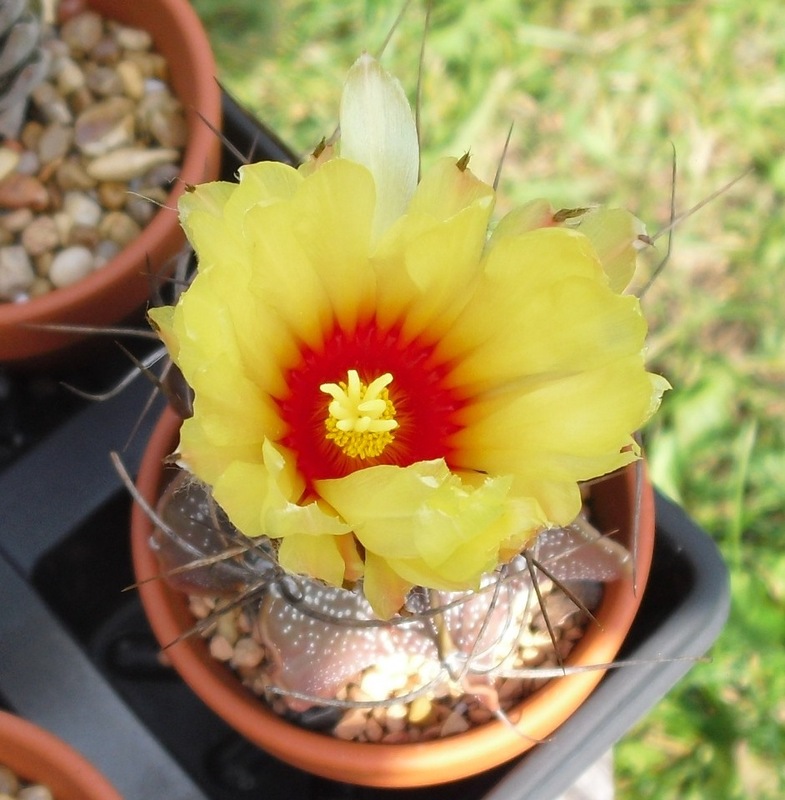 At any rate, after several years with no flowers whatever, my only Epi bloomed twice, once in May, then again in October. 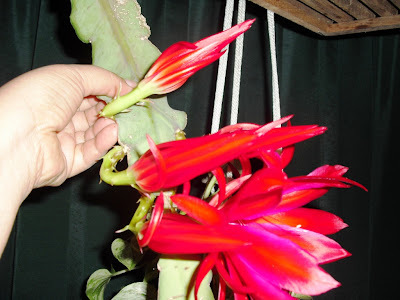 The plant itself is rather ugly, but the flowers are wonderful. 8. 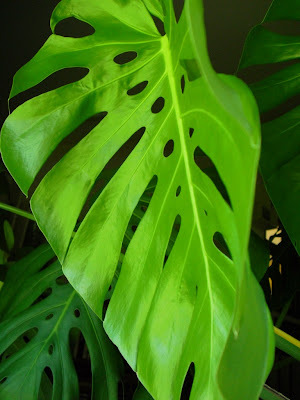 Monstera deliciosa: Another perennial sentimental favorite, because I grew it from seed, and because it is awesome. It survived a scale infestation this year, and keeps on putting out big, beautiful leaves. 9. 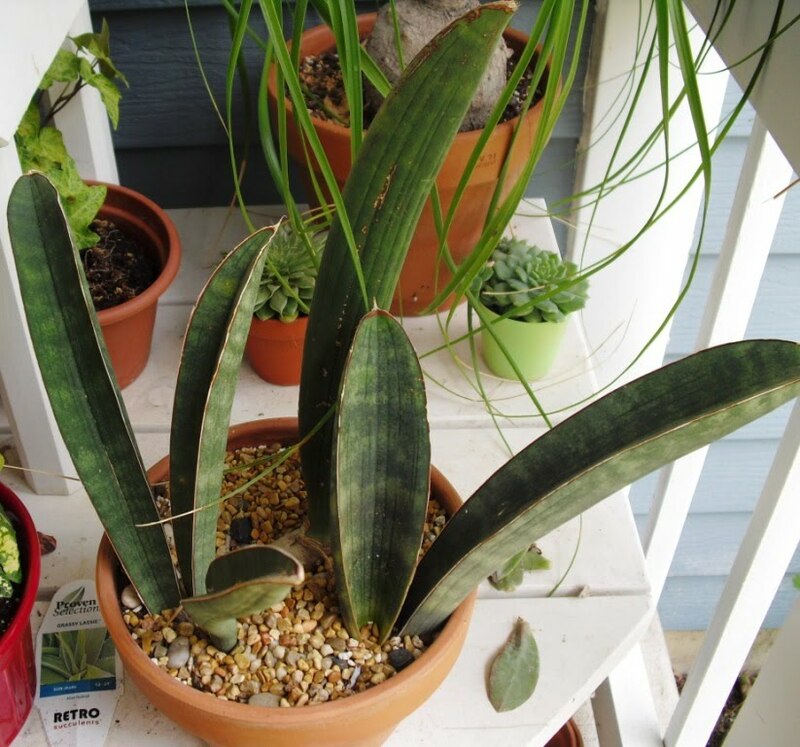 Sansevieria hallii: A handsome, trouble-free plant that grows slowly, but steadily. This year's new leaf ended up being taller and thicker than all the others that came before it. 10. Vriesea splendens: The plant that started my successful entry into the wonderful world of Bromeliads. It went seamlessly from blooming to pupping, and continues to grow larger. 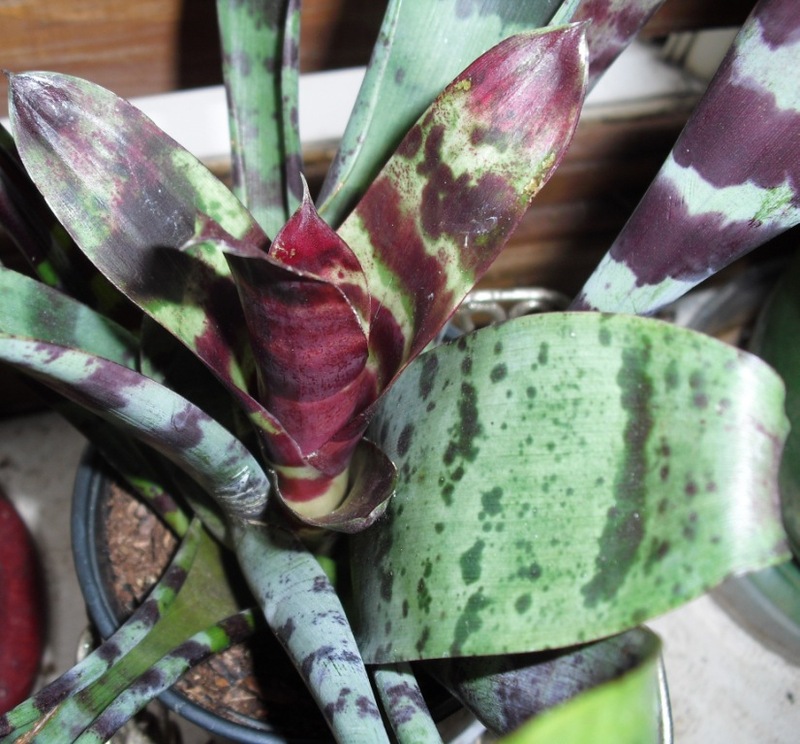 And I love the dark patterned foliage. 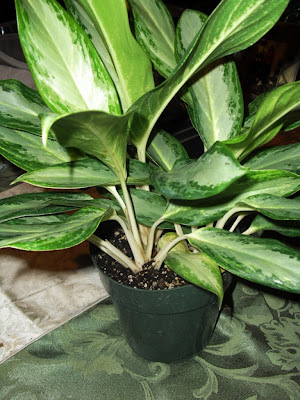 Honorable mention: Aglaonema. 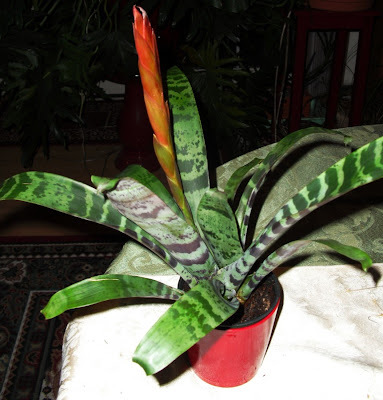 I can't single out a particular plant or species. Every one of my Ags is doing well and remains trouble free. I'm looking forward to the coming year of growing. I know there are going to be difficulties. But I know just as certainly that there will be delights. I don't know how I am so lucky that the aphids and mealybugs just die on me with use of soapy solution...1 tsp of dishsoap in a quart to gallon of water and either spray or splash it up under the leaves. 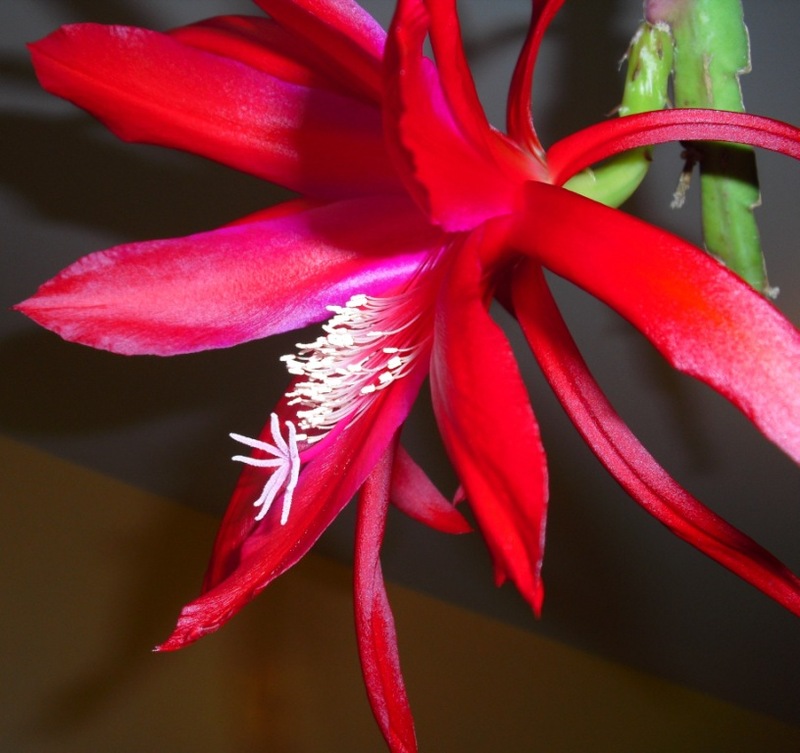 Your Epiphyllum 'David W. Grant' is unreal! Those blooms are like nothing I've ever seen before! You should consider entering him in the contest on my sidebar, over at Rainforest Gardens Blog. Goes till Jan 1. 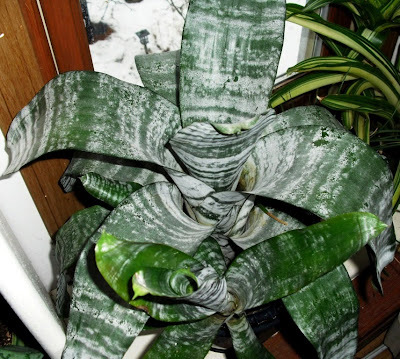 That is one seriously desireable epiphyte!!! I'm jealous of your Epi. I have had one for 5 years now and all it does is grows new stems. I want flowers!